Doing cold weather EC? Tricky...so much that sometimes parents just pause their practice til it's warm again, or don't start til spring hits. 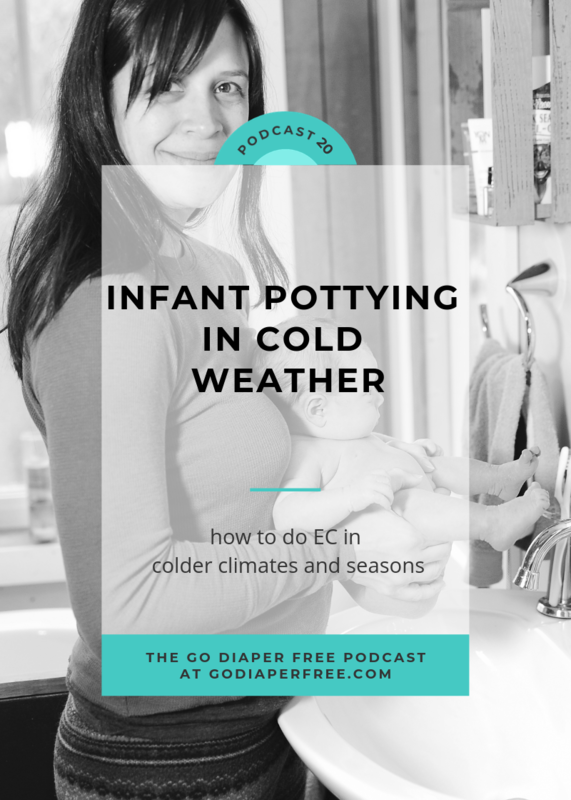 I'm posting this podcast episode now that it's finally 18 degrees outside here in Asheville, NC (when I recorded this episode in December it was still a warm 50 degrees!). 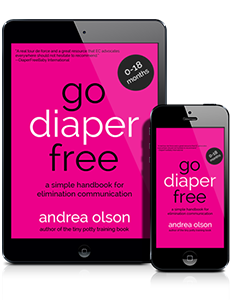 Wherever in the world you are, if you find yourself in a cold season or climate, it will be helpful to know of some tricks for using Elimination Communication with your baby in cold weather. This episode covers just that...and boy do we need some help now that a cold spell is sweeping the nation! Right click here to download the MP3 or click the play button at the top of this post to listen to the full episode. subscribe to the podcast and/or leave a review (so more people learn about EC!) on iTunes here. Please share *your* cold weather pottying tips in the comments below. Dear Andrea, have you ever seen these: http://de.dawanda.com/product/56007923-Windelfrei-Abhalteoverall or here: http://www.abhala.de/shop?page=shop.product_details&flypage=abhala_flypage.tpl&product_id=691&category_id=12 It worked very well for us last winter!